Manifest: Are You On Board Yet? Let's talk about Manifest. Have you heard about the new Robert Zemeckis-produced show from NBC yet? Episode 3 just aired last night. Manifest has quickly climbed to the #1 spot for the most recorded show here at PlayOn. I needed to see what the excitement was all about so I recorded the pilot episode to watch during my lunch break. First, I've gotta say – I love AdSkip – watching network TV shows is so much better when you aren't constantly interrupted by several minutes of pesky ads! Second – I see how Manifest is interesting in a sci-fi mystery “Lost” kinda way. I will be waiting to see if they can pull off this storyline in a new and interesting way – I’ve already got episodes 2 & 3 in my PlayOn recording queue! 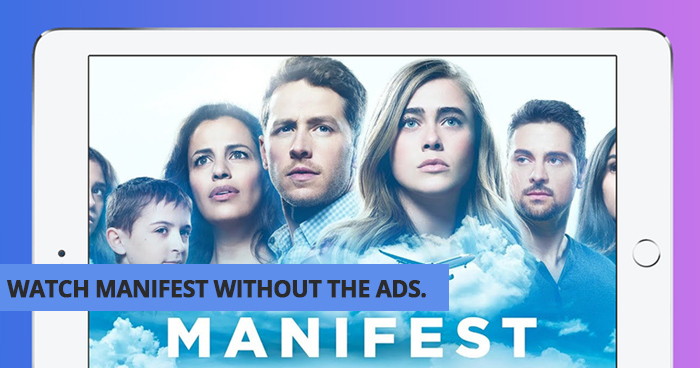 Get a PlayOn Cloud credit pack and sign up for a cloud storage plan to record and store the whole season of Manifest (you can catch up on the first 3 episodes today). Or, if you have PlayOn Desktop, just subscribe to Manifest in the NBC channel, and automatically record new episodes as they come online. AND, you'll get to automatically skip all the ads when you're ready to watch. It's a whole new, better, way to stream. When Montego Air Flight 828 landed safely after a turbulent but routine flight, the crew and passengers were relieved. Yet in the span of those few hours, the world had aged five years and their friends, families and colleagues, after mourning their loss, had given up hope and moved on. Now, faced with the impossible, they're all given a second chance. But as their new realities become clear, a deeper mystery unfolds and some of the returned passengers soon realize they may be meant for something greater than they ever thought possible. From Robert Zemeckis, Jack Rapke, Jeff Rake and Jackie Levine comes an emotionally rich, unexpected journey into a world grounded in hope, heart and destiny. Ready to hit that record button? Get PlayOn Desktop for your PC and make unlimited recordings, cast recordings to your TV and skip the ads. Just $1.99/month. Or, stock up on PlayOn Cloud recording credits. Right now, you can get 100 recording credits for just $25. That's just $0.25 per each ad-free recording! The use of third-party trademarks on this site is intended to imply neither any endorsement by nor any affiliation with the respective trademark owners.